Family Offices: How Can They Help to Promote Entrepreneurship and Social Responsibility? 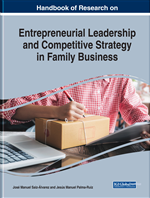 The objective of this chapter is to deepen the knowledge of family offices (FOs) as an instrument that business families have to help promote entrepreneurship and social responsibility activities. With this purpose, the concept and evolution of FOs will be developed. When faced with this purpose, we find the difficulty of accessing information about the FO at a global level, since confidentiality is one of the main characteristics by which families choose this type of structure. Because of this situation, publications on this subject are scarce, and we are forced to resort to international examples from the USA, Europe, Asia, and Latin America to facilitate greater knowledge of the FOs. Today, an FO can be considered a professional organization, owned and controlled by an ultra-wealthy family. Its primary function is to centralize and manage the fortune of family members and transfer wealth and value to the next generation. The financial capital managed by the FO comes from the business family’s fortune, which, in many cases, has been gradually accumulated by the family over generations. Table 1 presents a summary of the different definitions of this term found in the literature. Ultra-High-Net-Worth Individual (UHNWI): An individual with a fortune of more than $30 million. Single-Family Office (SFO): An FO devoted to a single family. Multi-Family Office (MFO): An FO involving assets from different families. The Giving Pledge: Movement initiated by Bill Gates and Warren Buffet in 2010 to encourage the wealthiest people to donate at least 50% of their fortunes to philanthropic activities. Entrepreneurship: The process of designing, launching, and running a new business many times, thanks to the family’s financial support or venture capital. Family Office (FO): An FO is a private company devoted to the management of a family’s investments and trusts. It can be devoted to tasks including the provision of personal services, such as those related to household and traveling management, investment strategies in venture capital, or development capital. Philanthropy: A way of giving back to the community through financial donations, charity projects, among others. Affiliated Multi-Family Office (AMFO): An FO affiliated with a financial institution that offers a wide variety of services, not just financial ones.